The Logan-Hocking Local Board of Education will hold a public auction to sell four City of Logan lots that currently make up the former Logan High School parking lot near Central Elementary School on the hilltop. The public auction will take place on Friday, September 9 at 1:00 PM at the parking lot located between West Angle Avenue and West Poplar Street. 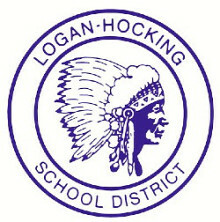 School District Breaks Even in FY 2016 Once again, the Logan-Hocking Local School District finished its most recent year operating in the black. Treasurer and Chief Fiscal Officer Paul Shaw reported to Board of Education that General Fund revenues exceeded expenditures by $96,400 in the fiscal year ended June 30, 2016 (FY 2016). General Fund operating revenues and expenditures remained virtually unchanged from the prior year (FY 2015), increasing 0.6 % and 1.2% respectively. ASBO International has named five Comprehensive Annual Financial Reports (CAFRs) as "Award-Winning" on their Annual Meeting & Expo site, and we are happy to report that Ohio's Logan-Hocking Area School District was among those chosen. Treasurer Shaw wishes to thank the Logan-Hocking Local Board of Education, his staff and School District employees district-wide for their support and efforts related to this important work. 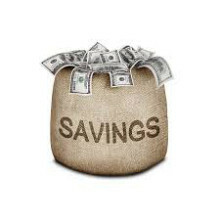 Similar to refinancing a home mortgage, the School District is currently refinancing the Series 2005 Refunding Bonds for interest cost savings that will flow back to the taxpayers. “The School District, School Board and Administration strive to be financially prudent. Upon investigation and analysis, it has been determined that the School Board should refinance the bonds that were used to construct school buildings across the School District. Students from the Young Entrepreneurs Academy (YEA!) 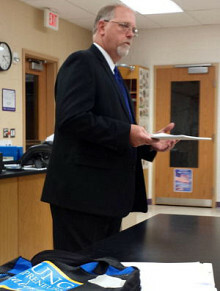 at Logan Hocking School District were introduced to Paul Shaw, Treasurer and Chief Financial Officer of Logan-Hocking Schools, who spoke to the class about financial items to consider when starting a small business. Students listened as he explored the different facets of business including budgeting, financing, and taxes while also touching on the role of an accountant and what small business owners should know about accounting services.